After 24 years, Roly Webster has left Wilfrid Laurier University. 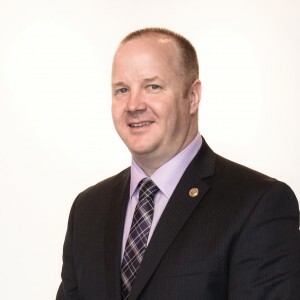 The former executive director of the Wilfrid Laurier University Students’ Union joined the University of Waterloo as their new director of athletics and recreation on Sept. 8. Webster’s interest and experience in working in athletics for 13 years before the Students’ Union led him to take the opportunity. He was a coordinator of facilities, events and sponsorship, and worked as a development officer managing promotions, sports information and media relations while working on department marketing strategies. “I loved what I was doing. I wasn’t looking for a job, but it was really an opportunity that I couldn’t close the door on,” said Webster, referring to the time he spent at the Union. Webster’s experience at Laurier greatly impacted his career, specifically his work with the Students’ Union. He enjoyed working closely with students to improve the overall student experience at the university. Although Webster is now working at a different school, the focus for him remains the same: student experience. Webster is confident in the ability of the Students’ Union to find a successor for his position. He also believes that Sam Lambert, president and CEO of the Students’ Union, and Matt McLean, chair of the board and chief governing officer, are capable in moving the organization forward. Chris Turner, the Students’ Union director of finance and administration, will move into the position as interim executive director. Turner often worked closely with Webster and Lambert on big projects, such as debt repayment to the university. “He has the experience in areas that Roly did, so he’d be a really good support for myself, my team and the full-time staff while we’re searching for permanent positions,” Lambert explained. The search for a permanent executive director will begin as soon as the job description is finalized and will then be open for three to four weeks. The process will also entail a hiring panel that will consist of Lambert, McLean and others in the Union. “We wish Roly good luck. We’re going to miss him because he did an unbelievable job here, but we’re excited for him and we wish him all the best,” Lambert said. “I am grateful for the opportunity to work with the Students’ Union. I don’t think people give enough credit to that organization and what they do for students. I hope there are lots of candidates that are aware of that because that opportunity far exceeded any expectations that I had,” said Webster.